The Polish Jinx: More Doses Of StrangeBeautiful! So I have to start by apologizing to you all. 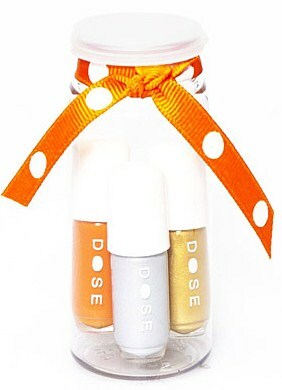 I recently introduced you all to the new StrangeBeautiful trios of polish pills known as Doses. At the time I told you all that they were not yet available at the LuckyScent store as I could not find them on there. I had no clue where to direct non Americans to purchase these! Well, guess what?! They ARE available on the Lucky Scent website. 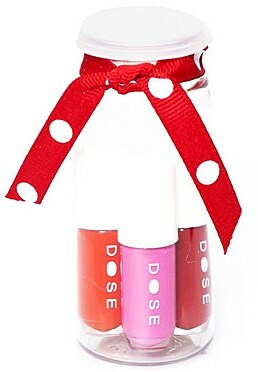 They for some reason have the brand listed as "Dose" and not as "Strangebeautiful" so I totally missed them! And not only are they there, there are two more sets that are limited edition that were put out for Valentines day! Available worldwide from luckyscent.com HERE for $20US each!! !